The APEX Sub Ohm Dual Coil 2 Pack are replacement 0.5Ω Sub Ohm Dual Coils designed specifically for the XVX APEX e-cigarette, for X Edition & Glossy Edition. 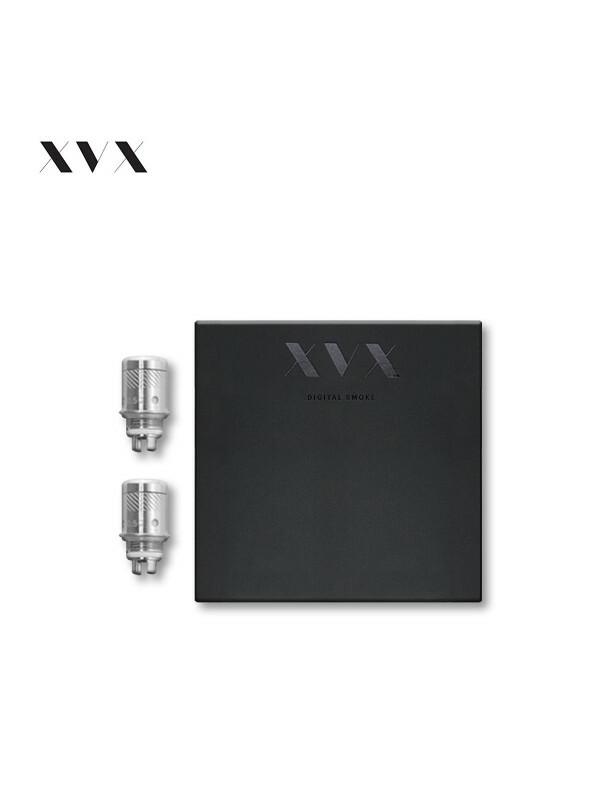 The XVX APEX and all of its parts and accessories are made using high quality grade materials and tested by XVX for vapour quality. The XVX APEX Dual Coils are very much like a car's engine or clutch, they can last longer, up to 4 to 8 weeks even with sustained usage, depending on how well they are maintained. With proper care they can endure for a long time, such as ensuring your tank is never left to run low on eLiquid and short breaks between vapes as excessive use over a short space of time can effect the life of the coil. To prime your coil leave your tank to stand for 10 minutes when you first fill your tank, XVX also recommends following this proceedure every time you fill your tank to ensure a longer life for your coils. Often some flavours can linger, such as Tobacco or Mint flavours, so it's recommended getting extra coils and tanks if you wish to ensure your flavours remain clean and smooth. We recommend the XVX APEX is best served with XVX E Liquids and this is backed up with the XVX guarantee.